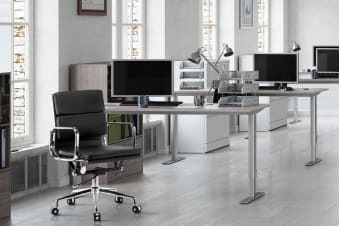 Ergolux is a brand synonymous with premium, on-trend office must haves that add an instant touch of class and style, and the Executive Collection takes the luxury to the next level without the top-tier price tag. 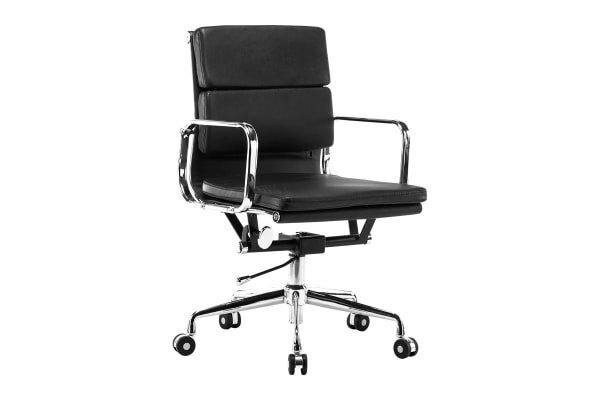 The Ergolux Eames Replica Low Back Padded Office Chair – Executive Collection is richly padded for superior comfort with a ‘sling pocket’ design that stretches the luxuriously soft PU leather around the chrome frame for impressive support. Premium castors capped with chrome ensure you can move your chair freely and easily. For a luxe finish that's ultra-durable and easy to clean.